I'm so proud of myself! 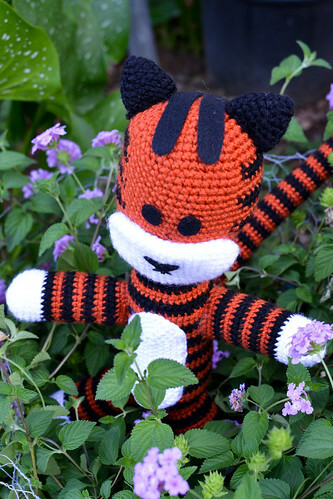 I made a Hobbes! 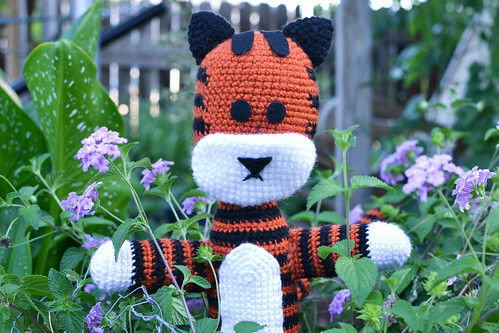 That's right, a Hobbes! Look look look! 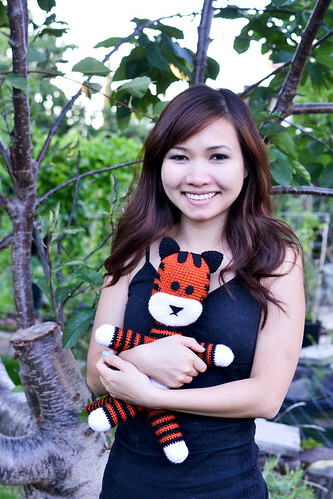 I saw this post on reddit which led me to this blog post at Sukigirl. It was so great that I had to make it! It took me a long while to finish it, about a year. It was mainly because I was too lazy and shelved the project for a while, then started again, then shelved it, etc. 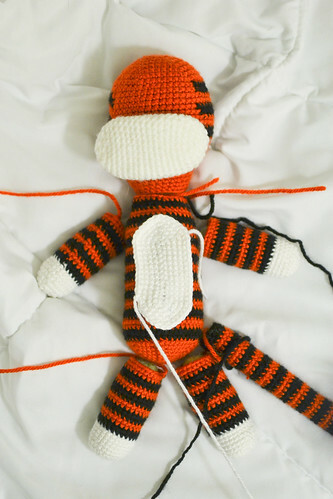 All of the parts are finished here (no ears shown) ready to be stuffed. I ripped apart my old pillow and tried to stuff each part as evenly as I could. Hobbes on his first walk outside! 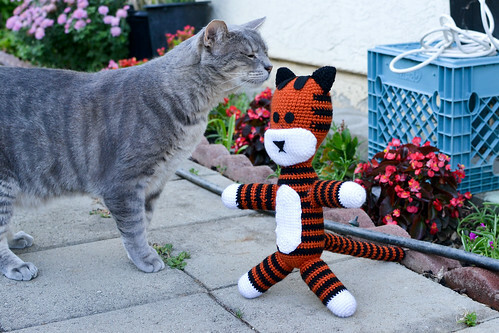 He met a friend. 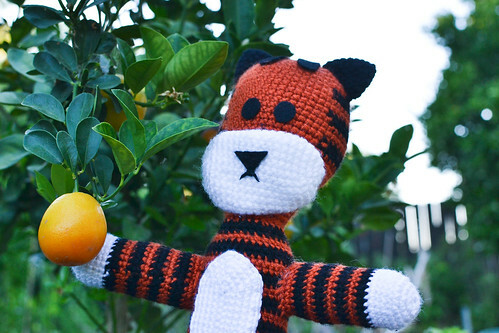 Hobbes picking a nice ripe kumquat. 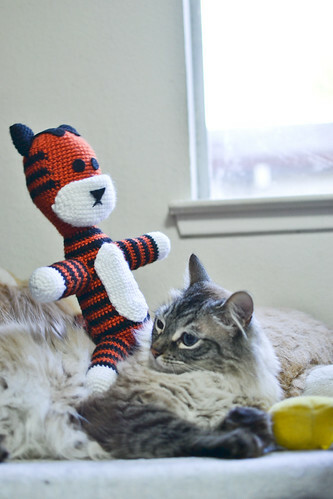 Hobbes met Mr. Hobbes, our cat, for the first time. 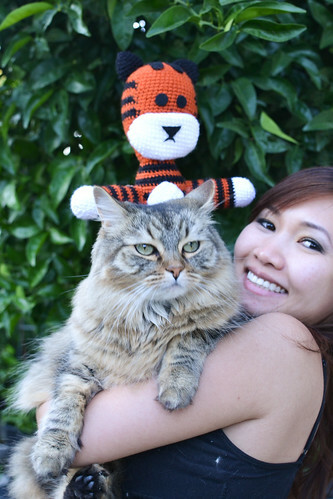 Mr. Hobbes was not amused. 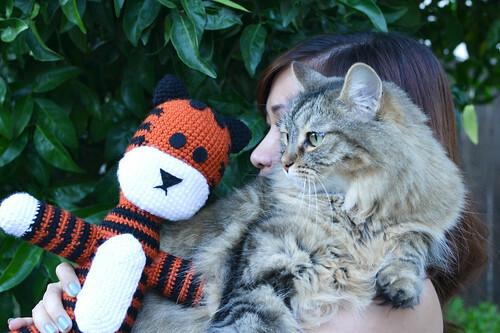 My sister collected dropped whiskers by our cats and we saw a perfect opportunity to use them. 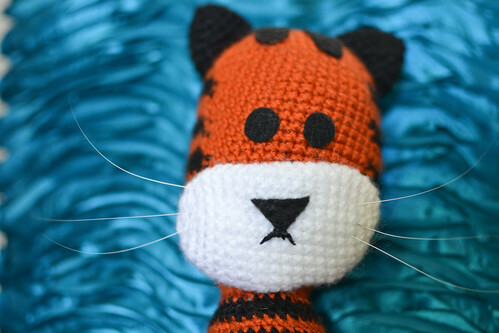 Hobbes now have real whiskers made by kitties. 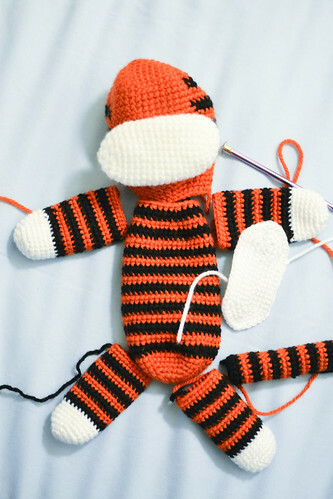 Anyway, if you have some black, orange, and white yarn sitting around and some time on your hands, make a Hobbes!